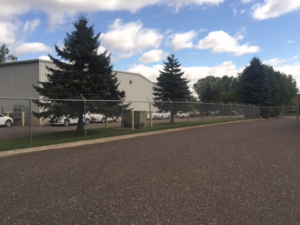 Finding a commercial fencing contractor in the Andover, MN area – in any area, for that matter – can be a challenge, especially if you aren’t careful about your choice. When you’re looking for a fencing contractor for a commercial property, you’ll need a company that can meet all of your fencing needs, whether you’re looking for a simple fencing system or an expensive fencing project with multiple materials or styles. You’ll need a commercial fencing contractor that will be there for you day or night if your fencing system fails to ensure that your property isn’t left untidy or unsecure. You’ll need Twin Cities Fence. When you work with our fence contractors, you’ll have your choice of fencing styles, sizes, materials, and designs, including our various fence gates! Whether you’re looking to spruce up your property or make it more secure, you can’t go wrong with our fencing system options, our unparalleled service, and our generations of building experience. If you’re in the market for a commercial wood fencing system, you’ll need to consider what exactly you’re looking to gain from your fence before making any decisions. Are you looking for a privacy fence to section off your business property? Are you in need of some stylistic additions to your property that will help delineate property lines? You might consider our wooden picket fences or our rustic split rail fencing systems, both perfect for marking pathways, outlining properties, and accenting a business property with a traditional aesthetic. More and more, vinyl is becoming a popular fencing material for commercial properties, as it’s a durable, affordable fencing material with a more modern aesthetic. We build vinyl privacy fences, vinyl picket fences, ornamental vinyl fences with unique designs, and even vinyl post and rail fences to mimic the look of a farm fence. Whatever you’re looking to achieve on your property, whether it be security or style, vinyl fencing will help ensure that you have a durable, weather-resistant fence. If you’re in need of a secure and professional-looking fencing system for your business property, you may want to consider investing in a galvanized steel ornamental fence or an aluminum ornamental fence. Each of these fencing systems will outline your property for optimum security without hindering visibility, and you can count on making sure the areas of your property that you wish to keep off limits remain private. With a variety of fencing designs available, you can choose from ornamental picket fences and more, with customizable features available to make your fencing system completely your own. We also install steel and aluminum gate systems with any fence, including swing and roller gates, making accessing your property only as easy as you want it to be. Chain link fencing systems can often be the perfect commercial fencing system for business owners, as a chain link fence provides a high-quality, affordable fencing option that will help to keep your property as secure as you need. One of the benefits of our chain link fences is that you can choose from the already durable steel chain link and our PVC color-coated chain link fencing, which is an even more durable option. With a custom color fence or a steel chain link fence, you’ll also have the option of several gate options, including swing gates and roller gates for walk- or drive-in access. If you’ve been looking into installing a privacy fence on your commercial property, your largest challenge will be choosing the right material for you. Whether you’re in need of a privacy fence that will section off your property to keep restricted areas off limits to customers and guests, or you’re looking for a way to keep your business property discreet, a privacy fence can be the perfect solution, and we can even provide you with fencing customization options to ensure that your privacy fence is more than just a barrier. We can offer you wood and vinyl privacy fencing, and even our chain link fences can be made to create more privacy with colored screens to shield your property from prying eyes. Just tell us how secure your property needs to be, and we’ll take care of the details! It’s time to start installing your fencing system, so stop waiting, and call Twin Cities Fence today at 612-443-1948. Our commercial fencing contractors will help make sure your property is secure and looks just the way you want it, whether you’re looking for a fencing system for your small business, a large corporation property, a housing development, or otherwise.